Android Tablets with Google Play for Education can bring the power of Google Apps for Education to students of any age. Android Tablets bring the brilliant management features of Chromebooks and the intuitive touch-screen input of a tablet in a small, affordable package perfect for elementary, middle, and high school students. As a leader in educational technology innovation, John Sowash is leading the charge, helping a Michigan school become one of the very first to roll out a complete Android program at the elementary level. 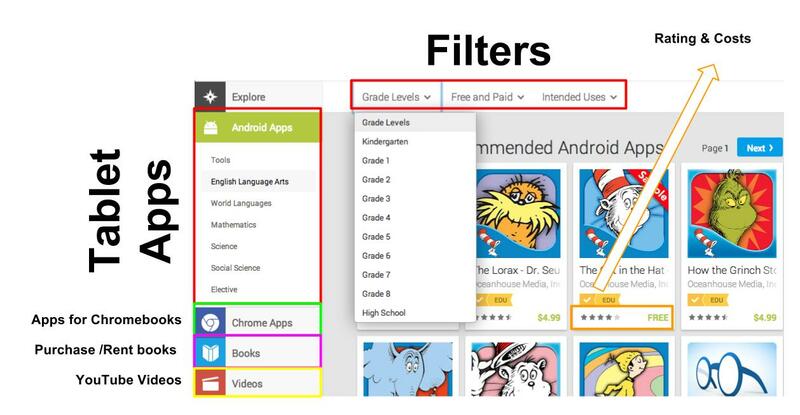 With Google Play for Education, teachers can “push out” apps, books, and videos to student devices. These items are instantly available on the student devices and can be personalized as needed. IT directors will love the powerful, integrated tools that allow them to manage a fleet of tablets. Fully integrated with the Google Apps for Education control panel, Android Tablets can be provisioned and monitored using the same familiar controls available for Chromebooks. John can help your school setup, deploy a fleet of tablets and provide practical, hands-on professional development for your staff. Start a conversation with John by sending him an email.